The third member of the 4 Series is also in facelift guise at the 2017 Geneva Motor Show. 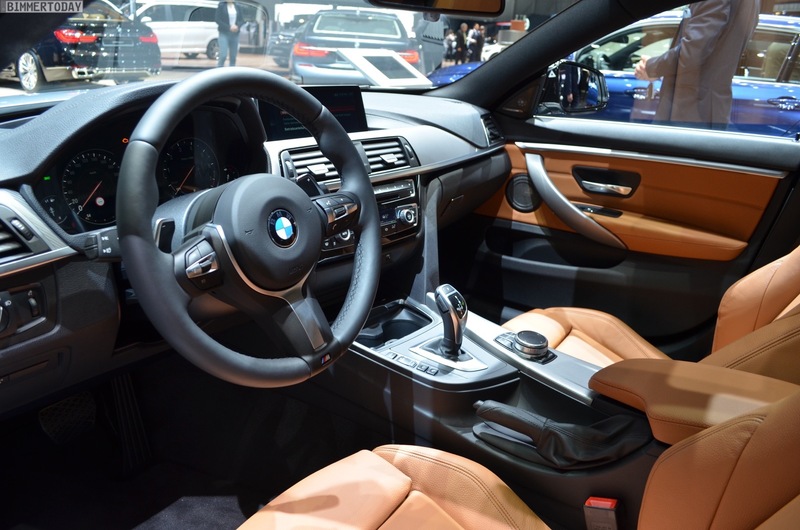 The BMW 4 Series Gran Coupe F36 LCI will continue to provide a significant part of the sales of the 4 Series, since many customers are genuinely looking for an alternative to the 3 Series Sedan. The four-door 4er has also received new headlights at the front and rear, modified aprons as part of the model maintenance. In the discreetly upgraded interior, the multifunctional instrument display with a complete digital display is installed. 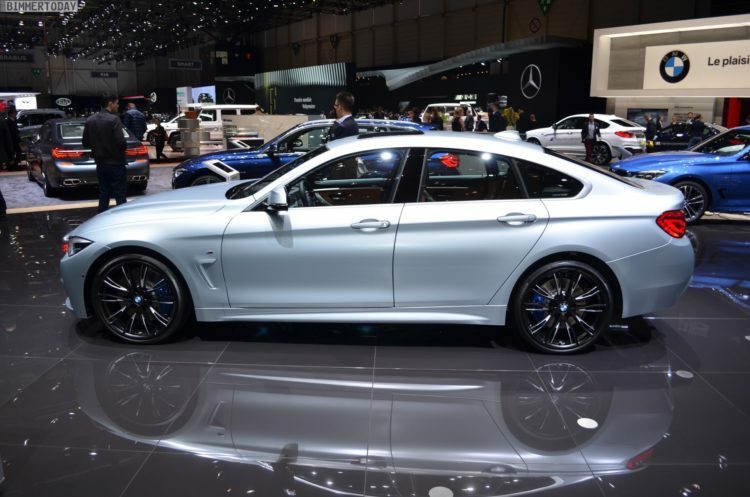 At its world unveil in Geneva, the 4 Series Gran Coupe is also shining with the striking individual paint finish Frozen Silver Metallic, which also emphasizes the high design requirements and the elegant lines of the four-door coupe. Since the exhibited BMW 4 Series Gran Coupe is equipped with the optional M Sport Package, some modifications of the facelift 2017 are not recognizable: The M package remains optically and technically unchanged. However, since the more important changes affect the lighting units anyway, our live photos from Geneva still show the most exciting updates of the facelift. 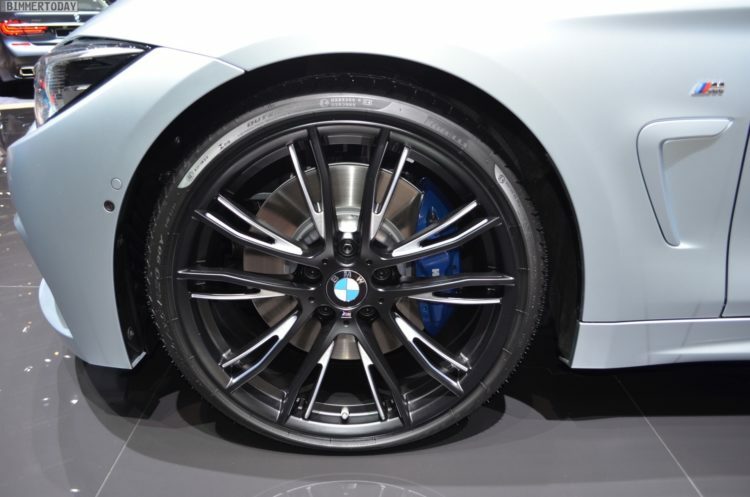 The exterior of the BMW 440i Gran Coupé F36 LCI from Geneva is additionally enhanced by the striking wheels in the Style 624 M. Although the 20 inch alloy wheels do not appear in the official price list for the 2017 BMW 4 Series, they are easily available on request from the dealer. With the 326 hp cylinder cylinder B58 engine, the 440i accelerates from 0 to 100 in 5.1 seconds, the 440i xDrive all-wheel-drive variant is a tenth of a second faster. Thanks to the torque of 450 Newton meter, which is applied almost between 1,380 and 5,000 rpm, the sovereignty is ensured in every living situation. 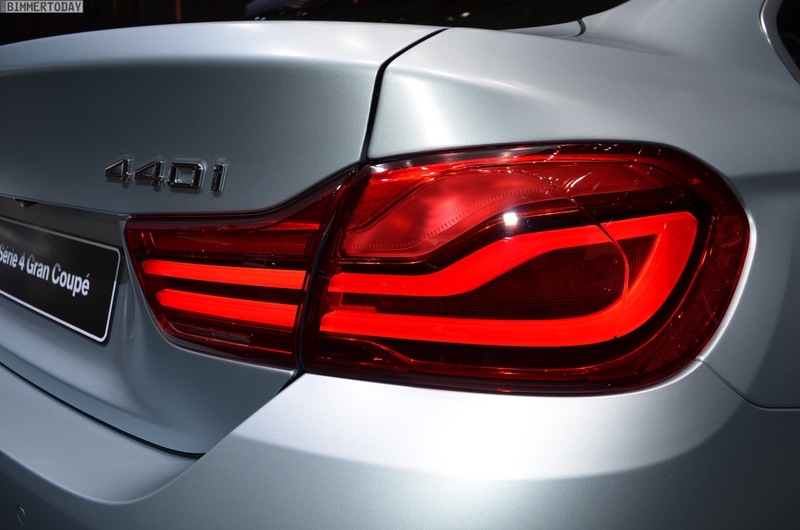 As an alternative to the manual six-speed gearbox, the 440i is, of course, also available with automatic eight-speed automatic transmission. 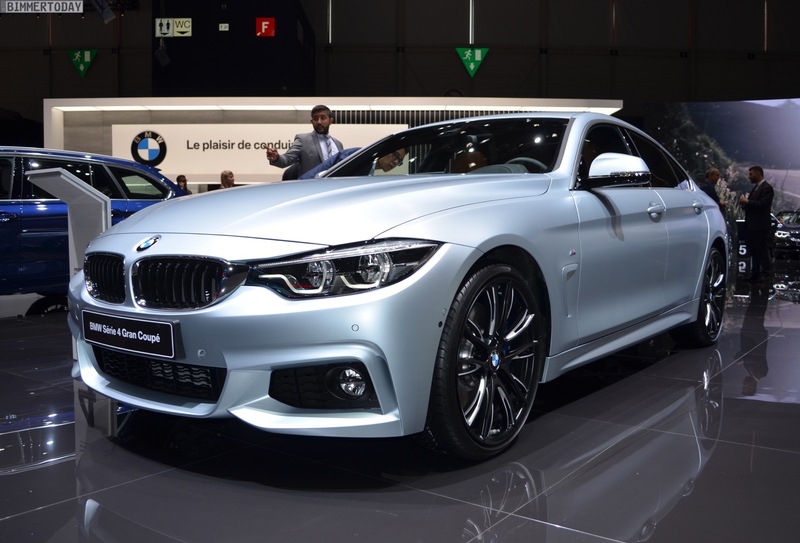 The prices for the top petrol engine of the BMW 4 Series Gran Coupé start in Germany at 52,800 Euros with Sport Line, in combination with the M Sport Paket, the basic price climbs to 54,500 euros. The additional traction of the all-wheel drive xDrive increases the price by 2,500 euros each. I’m noticing more and more the disparity between what journalists think and what consumers buy. The majority of outlets complained so much about the 4GC and it’s architecture, naming scheme etc. but the reality, at least in my area is that there are more 4GCs around than 3 series and certainly 4 series coupes in Vancouver. I’d like to know how sales of the variations compare in different regions. It’s a perfect package. 4 series looks, 4 doors, & touring practicality. Let me provide some extra info from where I live in Malaysia. Over here there’s a whole lot of 3 series compared to the 4er and the 4GC is a very rare sight on the road. 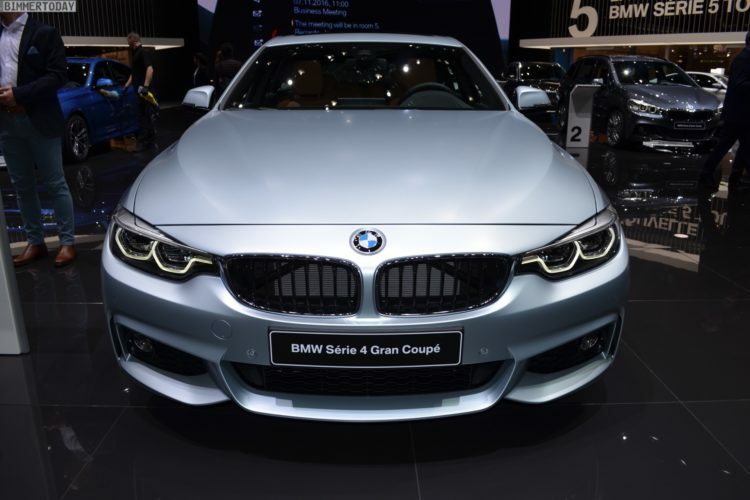 Now I really like the 4GC and would have gotten it in a heartbeat over the 3er but BMW charges an extra arm for the GC over its sedan counterpart and that’s mainly due to the 4GC being an import while the 3er is assembled in Malaysia and has government rebates.